A report from Great Britain says that wearing pressure-sensing smart insoles can lower the recurrence of diabetic foot ulcers by as much as 86 percent. According to Neil Reeves, PhD, of Manchester Metropolitan University, the insoles give patients the “feedback that they have lost naturally many years ago due to diabetic peripheral neuropathy.” The study was reported at 2018 meeting of the European Association for the Study of Diabetes. The insoles that were tested are called SurroSense Rx (made by Orpyx Medical Technologies). 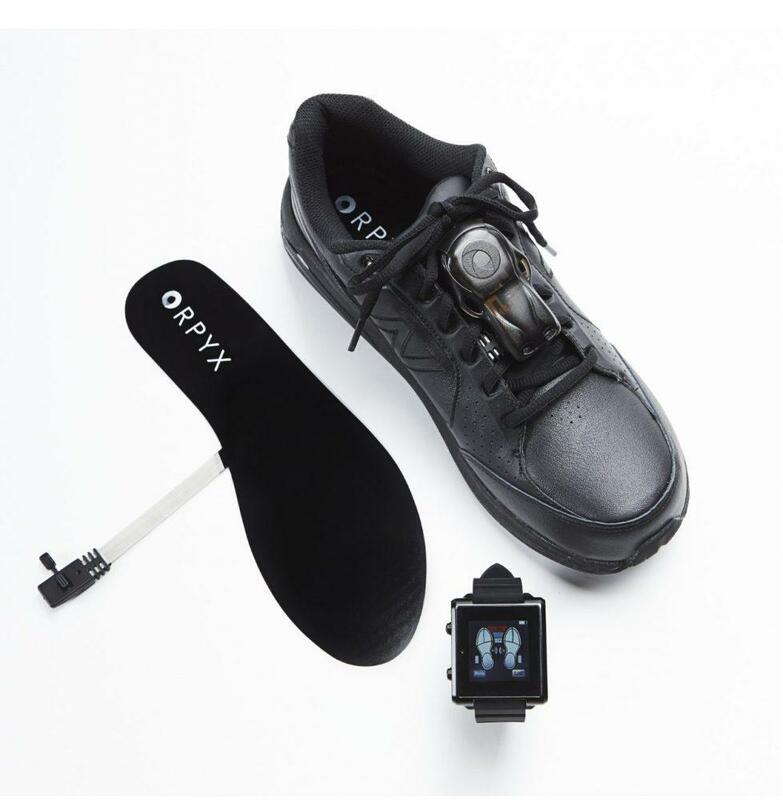 They consist of sensor-imbedded shoe inserts that record pressure data from the wearer’s feet. That data is wirelessly transmitted from the inserts to a smartwatch that alerts wearers when the inserts detect dangerous time and pressure levels so wearers can adjust their walking strategy and avoid damage. SurroSense Rx. Image courtesy of Orpyx Medical Technologies. For the study, the researchers enlisted 58 people who had either Type 1 or Type 2 diabetes and divided them into two groups. Both groups wore the insoles, but only one group received the feedback from the sensors. The feedback group wore the insoles for about 6 hours a day; the control group wore them for about 7. The patients visited the clinic for monthly checkups; follow-up was conducted at 18 months (earlier, if a foot ulcer developed).